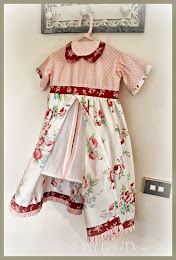 Sew Useful Designs: Inspirational shapes, Kellie's designs and a sneak peek! 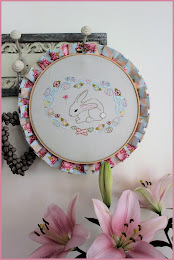 Inspirational shapes, Kellie's designs and a sneak peek! Changing the subject, I went for a trip to Ikea with my dear friend Anne. I could have spent a small fortune and..umm.. ahem... I think I did! But a girl can never have too many cookie cutters or magazine holders, right? Yep! The first is the same shape as the Jacobs Coat quilt pattern. 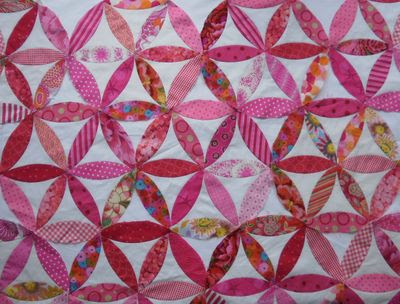 And I read about Kellie's quilt-along for this design just a few days ago! 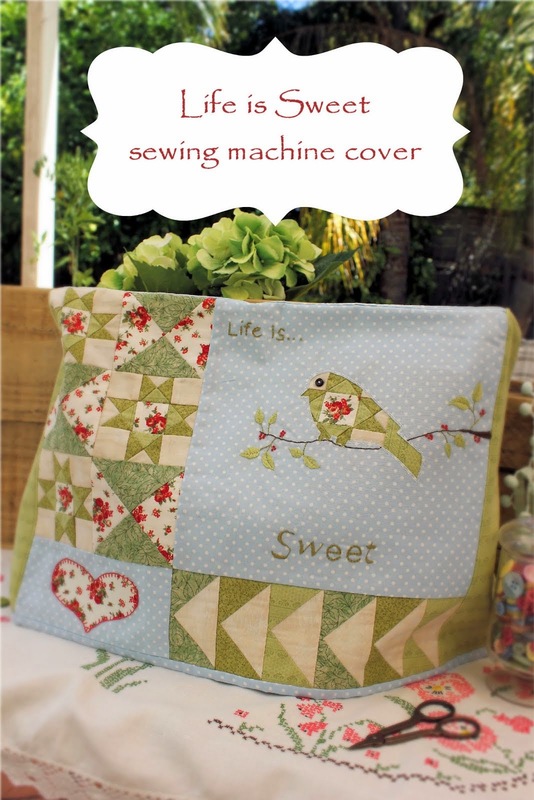 This is one of Kellie's photos of a quilt she quotes to have pieced "another lifetime ago"! Thanks Kellie for letting me use your photo! 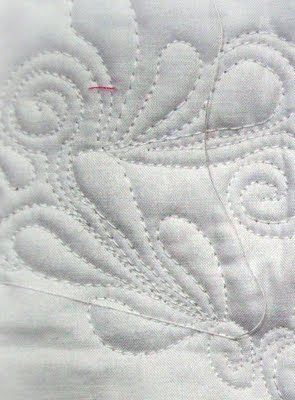 It reminded me of the feather shapes I had free-motion quilted in a workshop (of Kellie's) I attended recently. 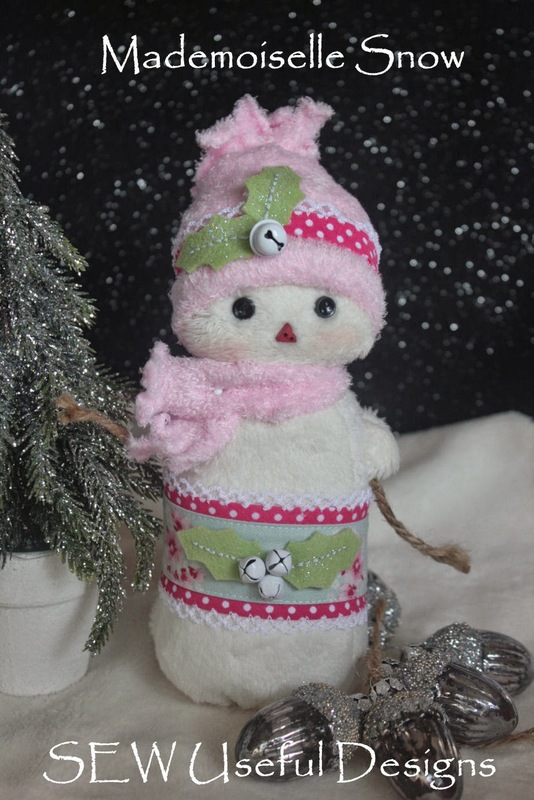 Have you checked out Kellie's two new pattern releases? The pic below is of "Willow". Gosh it's gorgeous, isn't it?! 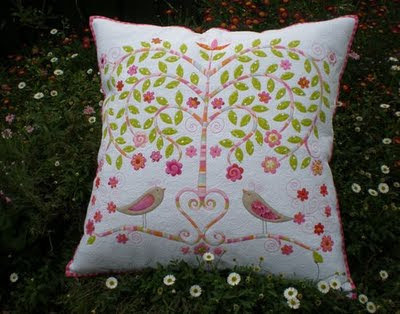 If you visit here you can see the other fabulous design and enter Kellie's giveaway while you're there. Good luck! Until next time, I wonder if you'll start seeing *shapes* everywhere now? I hope you do because it's so much fun! footnote: Thanks Kellie for allowing me to publish your pic of Willow too! 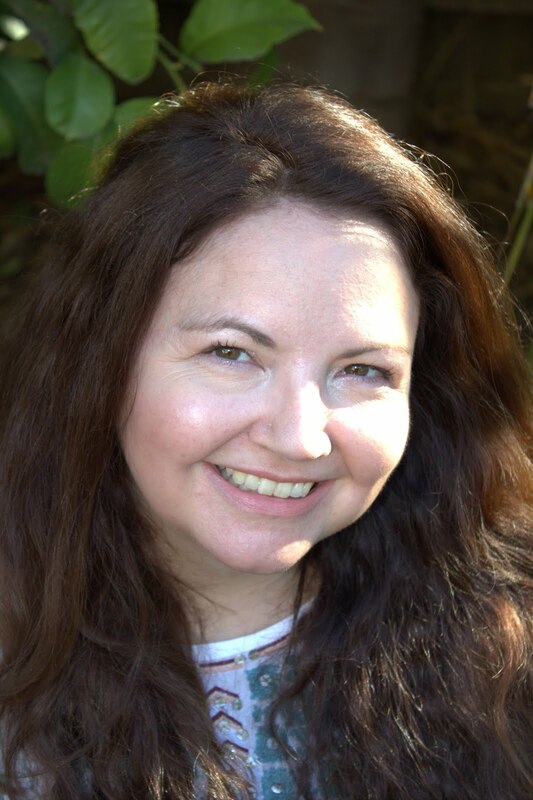 I enjoyed reading this post, Vikki. 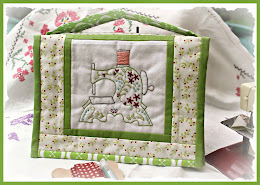 Lovely to see those curtain shapes back in quilts and quilting. The red robin is very cute!!! LOL - when Lord of the Rings came out, my mom had a huge crush on Orlando Bloom. And she was what, in her 60's? Your robin is so, so cute! I fell in love with him as soon as I saw the picture. 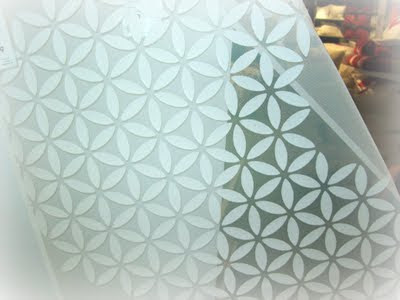 Don't you just love Ikea - and how funny that they're getting inspiration from quilts, lol! No good design ever dies, it just gets recycled, right? Love those first net curtains Vikki, I can jujst imagine them in our bathroom......................nope,real my thoughts in, no spending. Love your wee red robin, he is adorable, someone is going to be extremely happy I think. 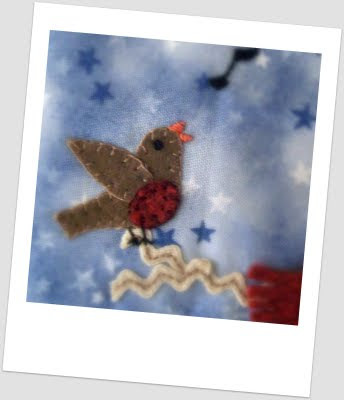 Love your little red robin, looking forward to seeing the whole project! Kelly does some amazing work, she's very inspirational! Oh how I wish I had of been there to zip off to IKEA with you and the lovely Anne. 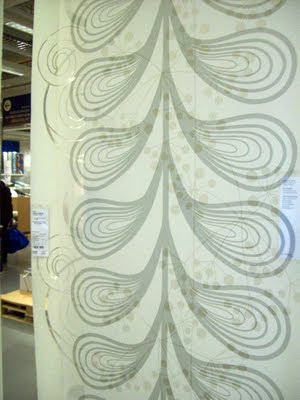 You know how I love IKEA and of course the company of my crafting buddies - gosh I miss our Tuesday night get togethers. I'll have to suffice with internet chats until I can get back down for a quick trip. Te aseguro que después de leer ésta entrada, veo formas y posibilidades en todos lados..!!! The robin looks great and I love the curtains and quilting connection. Its funny how when you start doing a craft, you look at the world anew. I remember how much I noticed white highlight dots in eyes etc once I had started to paint.